Yes, that’s right. Our team and friends are currently investigating this fake DMCA incident and analyzing all the public data we have with us. Right now we have the evidence captured and archived, we are still waiting for a response from Jonathan Nunez Gonzalez, Google and other related parties involved in this fake DMCA. This could take up to a couple of weeks. We fight for the truth. If you have anything to contribute to this report or want to provide critical information against Jonathan Nunez Gonzalez, you can get in touch with us at [email protected]’re open for dialogue, unless your intention is to threaten us and waste your time. Finally, if you are one of the critics of Jonathan Nunez Gonzalez or have information about the reputation/law firm involved, or just want to post your thoughts and opinion, feel free to post a comment below. If there is one place from where he cannot remove any content, it is here. Jonathan Nunez Gonzalez (35) and his wife hailed Lee Eng Kuan’s (51) taxi at 3:40am on January 15 and told him to take them to the Westin Hotel. But Mr Lee thought they meant the Stamford Hotel – which was previously known as the Westin Stamford Hotel – rather than the Westin Singapore (above), near to the Marina Bay Financial Centre. On arrival at the wrong hotel, Gonzalez’s wife used a map on her smartphone to guide the taxi driver to the right destination. She and Mr Lee started to argue, at which point her husband opened the driver’s door and slapped him. Jonathan Nunez Gonzalez then punched the taxi driver in the chest, causing him to fall backwards to the ground. Mr Lee was treated for minor injuries to his face and was given three days medical leave. 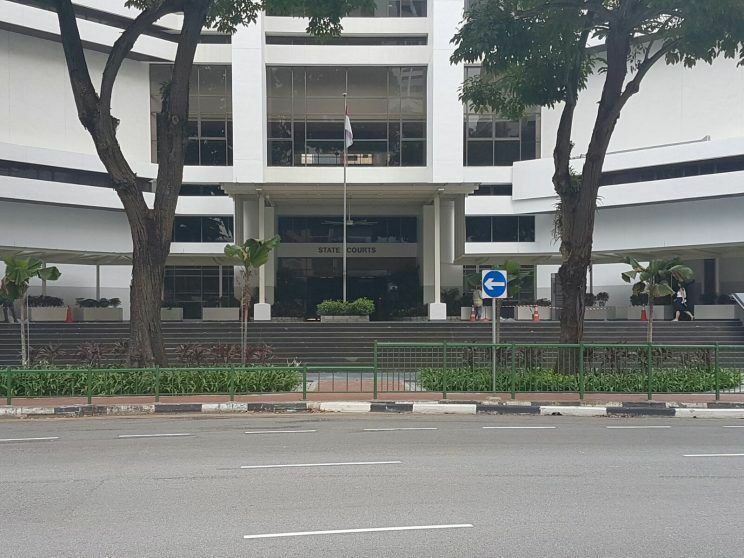 Anand Nalachandran, defence lawyer for Jonathan Nunez Gonzalez, said his client had clashed with Mr Lee because he suspected: “The taxi driver was exploiting his unfamiliarity with the locality to inflate the fare”. Mr Nalachandran said his client admitted losing control of his emotions and had already paid $2,000 to Mr Lee as compensation for his, “Momentary lapse of judgement”. The court was told Jonathan Nunez Gonzalez had since lost his job as a chief strategy officer for the Malaysian company he worked for. This complaint and/or review was posted on Webactivism.com on Feb 05, 2019 and is a permanent record located here: https://www.webactivism.com/jonathan-nunez-gonzalez-investigation-for-fraud-impersonation-and-perjury-fake-copyright-takedown-scam/ . Furthermore, Webactivism.com has an exclusive license to Jonathan Nunez Gonzalez investigation. It may not be copied without the written permission of Webactivism.com. This investigation on Jonathan Nunez Gonzalez is submitted and written by one of our members. Any and all opinions and information are published as is. We do not edit or remove any aspect of the report and is merely a free-speech platform. As such, we cannot be held liable for the investigation reports and articles posted about Jonathan Nunez Gonzalez.